Fashion Blogger Kalyani f Klassy Style Files is not new to this blog. She has featured in not one but two of our posts already. This is my story and an event that has left a deep impact on me but also helped shaped who I am today. A lesser known and even less seriously taken disorder PND (Post Natal Depression) or Post Partum Depression as known in India, by not as many people as it should be! I suffered from this to a significant degree after the birth of my first child, almost bordering on the line of clinical depression. As a new migrant with no family support close by and no network of friends with babies I often felt lonely, daunted and unable to cope with my daily routine. I wept for no reason and felt no interest whatsoever in getting out of the house. I shared these feelings with my husband who thought I was just missing my family who could only be around until my little one turned 2.5 months. The symptoms just got worse instead of better over time. I had nothing new to look forward to, the change, feed and comfort routine just went on and on for what felt like eternity! I was supposed to be happy because I had a little bundle of joy in my life. “Wasn’t it natural for a mother to dote and be lost in love for her new baby?” I would think and this would bring in more guilt into my heart. But no matter how many pre-birth classes I did or books I read on parenting, nothing could prepare me for reality. My life had turned from a busy working woman with aspirations to a full time mother, care taker with heavy sleep deprivation and no me-time at all! Recouping after a difficult birth and with absolutely no adult around me to have some sort of conversation, I was almost ready to give up. My mother who is a psychologist herself felt terribly sorry for me and her long distance counselling over the phone wasn’t helping me either. All she could say was just come to India for a few months. As tempting as this sounded for me, escaping/ running away from the situation wasn’t going to help and I knew this within. It was not practical to leave my husband for months and take my little infant from winter in Sydney to summer in Mumbai either. I decided to stay on. We had heard about at home counselling and decided to try it. It worked reasonably well with fortnightly one-on-one sessions in the comfort of my home. But these were limited. The Counsellor then advised me to go to new mother’s therapy sessions. The thought of packing all the baby things and reaching the therapy group venue was scary in itself, let alone leaving my baby with a nanny for two hours. Also I didn’t even have a driver’s licence at that stage. The whole idea seemed impossible to me! But that’s when my husband gave me strength and solid support. He organised a taxi for my weekly sessions, helped me get things ready and organised the night before and before I knew it I started enjoying the sessions! I looked forward to Wednesdays, I even though about what I’d wear!! The sharing and stories from other mums made me feel ‘I am not the only one’. Most mothers there were on anti-depressants already. They were surprised when I shared that I was not taking any medication. I decided to build my will power to beat this. Gradually I could see the bright side of things. I started going to the beautician and for coffee by myself over the weekend leaving the little one to play with her dad, who gladly obliged. At the end of 8 amazing weeks, my little one had grown up and started giving me smiles, it all made the motherhood pain worth it. I organised a morning tea with the lovely mothers in the group and we all recapped our journey and shared how things had looked up eventually. I got a contract from my University to tutor students one day a week which had me feel absolutely elated. As much as I loved being a mum now it was time for the grey cells to be stimulated and for me to embrace the outside world and give back what I learnt as a student! 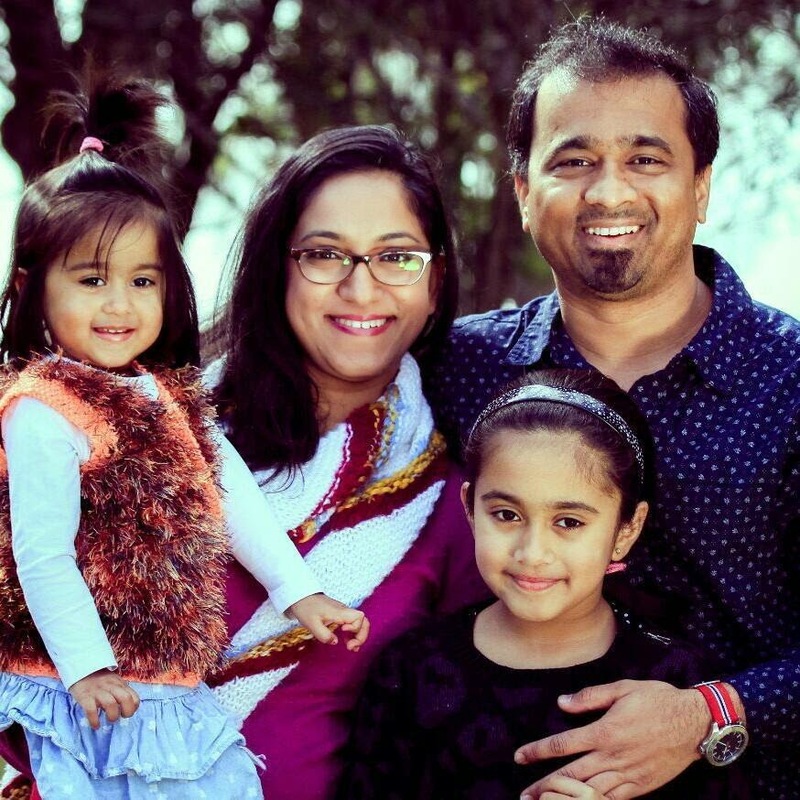 My mother visited us briefly to care for her granddaughter and finally we went to Melbourne when Ananya was six months old to celebrate life as new parents and how we emerged victorious through the whole PPD journey. Looking back I can definitely say that sticking around and fighting the depression was the best thing I did. Today this incident gives me immense confidence to face adversity and I tell all the new mums or to be mums to not be too hard on themselves, depend on their network of friends and family and call out for any help including just having a conversation with another adult. New dads play a really important part too; they must be supportive and keep reiterating how good a mum their wife makes. Believe me it makes a world of difference! Wow K!! That's such an inspiring journey you had......thanks for all the learnings you shared with us! Now I know where to look for help in case I ever go through PPD! Superb nice.Journey as New mum seems to be easy. Klassy , girl oyur story touched my heart, it gave me goose flesh . i am not a mother but i can imagine how leaving work can leave one depressed, i did that too and it took me so much time to recover from it. thankfully being in india, around friends and family was a plus.